Attention prospective members, new members and long-time members! Kalamazoo Area Runners is pleased to host the Summer Sizzler Member Reception 5k Fun Run on Monday, August 6, 2012 at 6:00pm at the Borgess Health and Fitness Center (Late registration and check in from 5:30 – 6:00 pm). 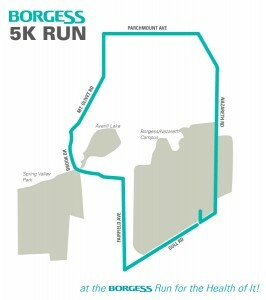 This is a casual fun run and social event sponsored by the Kalamazoo Area Runners and will follow the Borgess Run 5k course. Refreshments and door prizes immediately following at Borgess Health and Fitness Center. Participants are welcome to stay for the KAR Board Meeting beginning at 7:30 pm. Registration is required. For more information contact Nikki Gates at nikki.gates@kalamazooarearunners.org. We need a few volunteers for set up and registration from 5:15 – 6:15 pm as well as tear down from 7:15 – 7:30pm. Please contact Nikki Gates at nikki.gates@kalamazooarearunners.org if you can help out. Earn 10 KAR Volunteer points.